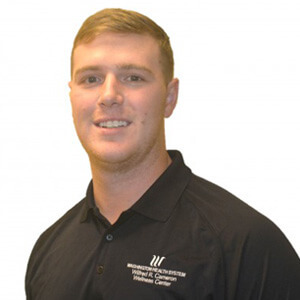 John graduated from Slippery Rock University in 2018, receiving his Bachelor of Science in Exercise Science. He has completed his Exos Performance Specialist certification (XPS). 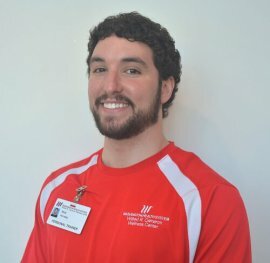 While believing the sky is the limit, John plans on gaining experience in the fitness industry and wants to attend graduate school to receive his Master’s Degree in Public Health (MPH), with a concentration in health and wellness. John started weight training in his freshman year of high school while playing football, and ever since then has been in love with it. John’s training style is very fast paced and effective. He will motivate and push you; He will be the coach that makes sure you exceed your goals; he will be the missing piece of the puzzle you have been looking for! John’s specialties, when it comes to personal training, includes weight loss, hypertrophy (increasing muscle mass), functional training, circuit training, and team building. With his enthusiasm, great charisma, and love for helping individuals reach their health and fitness goals, he is the trainer for YOU! Kelly graduated from Grove City College in May of 2017 with a bachelor’s in exercise science. She is a certified personal trainer through the NSCA and is currently working on her fitness specialist certification from EXOS. 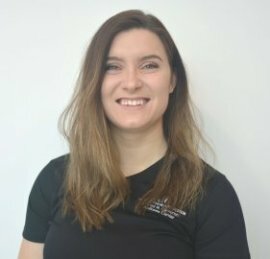 Working as a physical therapy aide for the past five years has given her a passion for working with older adults and helping them to achieve their goals. She was also very involved with ultimate Frisbee during college and was co-captain during her senior year. Her absolute favorite thing to do is ride horses. Nick received his Bachelor’s Degree in Business Management and Marketing from California University of Pennsylvania. He also obtained his Master’s Degree in Exercise Science and Health Promotion with a concentration in Wellness and Fitness from California University of Pennsylvania. 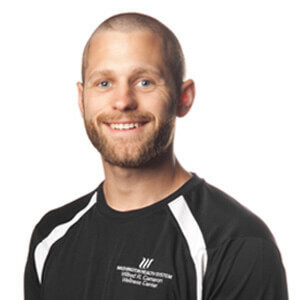 Nick is a National Academy of Sports Medicine Certified Personal Trainer. He is also a Certified Speed Specialist through the National Association of Speed and Explosion. Nick enjoys lifting, sports, mountain biking, and hiking with his dog Bindi. 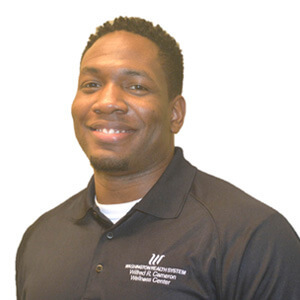 He is thankful for the opportunity to be a part of the Cameron Wellness Center team and looks forward to getting to know all of the members while helping them reach their fitness goals. Kendra graduated from Slippery Rock University with a Bachelor’s Degree in Exercise Science. She is a certified Exercise Physiologist (EP) through the American College of Sports Medicine (ACSM), and a certified instructor in Mad Dogg Spinning. 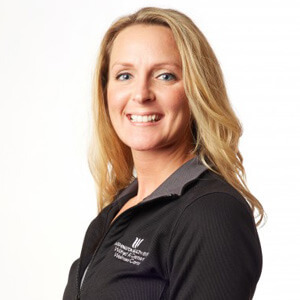 After graduating with a degree in Exercise Science, Kendra realized how diverse her options would be at the WRCWC, and joined the Center in 2006. Kendra loves what she does for the Center because it gives her the opportunity to make a difference in individuals’ lives every day. Katie earned her Bachelors of Science Degree in Exercise Science and her Bachelors of Art Degree in Physical Education from Mount Union College in Alliance, Ohio in 2008. 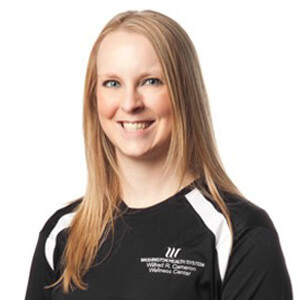 During college, Katie started teaching group exercise classes and earned her Primary Group Exercise Certification through AFAA (American Fitness and Aerobics Association). Upon graduation, she became a Certified Personal Trainer through the American College of Sports Medicine (ACSM) and a certified Kettlebell Cardio Instructor (KBC). 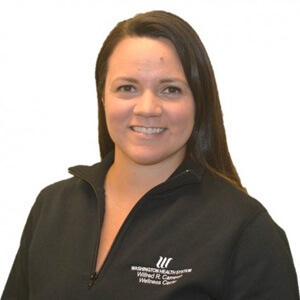 Katie is also a certified EXOS Performance Specialist .Katie enjoys working with clients of all ages and populations. Her training specialties include Power Lifting, Weight Loss, Chronic Conditions, Obstacle Course Prep, and Marathon Prep. Katie enjoys competing and has competed in 5K’s, 10K’s, half marathons, and mud races. Valerie graduated from Marywood University with a bachelor’s degree in Exercise Science. 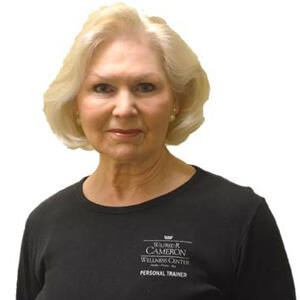 She is a Certified Personal Trainer through the America Council on Exercise (ACE) as well as a Licensed Massage Therapist. While attending Marywood University, Valerie was a part of the swim team. After graduating from Marywood, she quickly jumped into corporate wellness and instantly loved it. While working, Valerie wanted to continue to learn about the human body, especially the muscles, which motivated her to obtain a license in massage therapy. 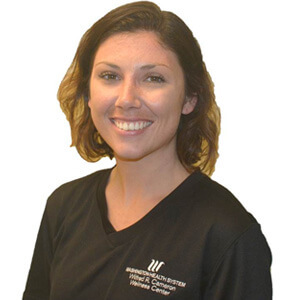 Valerie’s background as a collegiate athlete, certified personal trainer, and licensed massage therapist exemplifies her passion for human movement and performance. Valerie believes in order to achieve a healthier lifestyle, you have to enjoy doing it. She loves working with her clients to create an individualized program that is fun as well as challenging. Stephanie received her Master’s Degree in Clinical Exercise Physiology at the Indiana University of Pennsylvania. She is a Certified Exercise Physiologist through the American College of Sports Medicine (ACSM) and an EXOS Fitness Specialist. Stephanie’s interest in fitness began at a young age participating in numerous sports. She has a strong passion for helping people reach their goals and working to improve all aspects of health including mind, body, and spirit. Her extensive education heavily lies in working with adult populations and individuals with chronic disease. She has experience working in cardiac and pulmonary rehabilitation settings along with the general population to help with weight loss and general fitness. 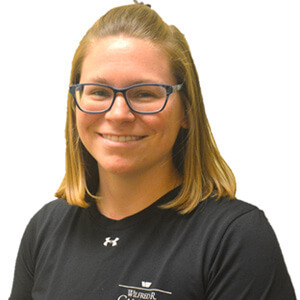 As a personal trainer, Stephanie’s main goal is to provide her clients with the tools they need to live a better lifestyle and for them to see exercise as fun and beneficial. She has a strong belief that you can do anything you set your mind to with hard work and perseverance. Stephanie enjoys hiking and any other activity that involves the outdoors. Jamie Udeze is a graduate from the University of Northern Iowa with a Bachelor’s in Exercise Science. 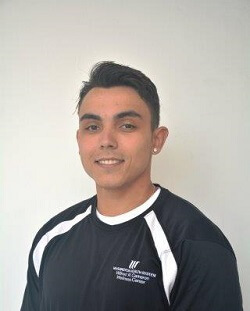 He is a Certified Personal Trainer through American Council of Exercise (ACE) and an EXOS Fitness Specialist. Jamie’s passion for fitness started in middle school participating in sports such as basketball, football, track and field. He still stays active by lifting weights, playing basketball, and various types of exercise to challenge himself. 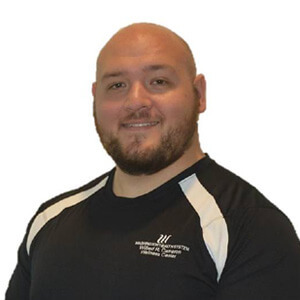 Jamie’s training specialty includes strength & conditioning, weight loss, and functional training. Jamie’s main focus is to help people work towards their goals, become healthier individuals, and improve overall quality of life! Kenny graduated from Waynesburg University with a degree in Exercise Science. 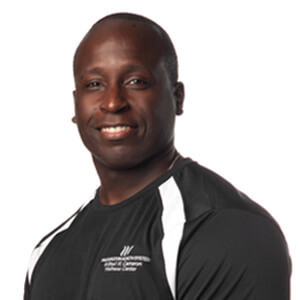 He is a Certified Strength and Conditioning Specialist and an EXOS-certified Performance Specialist (XPS). Kenny joined the Wellness Center team in 2012. His training specialties include Athletic Performance, Weight Loss, Chronic Conditions, Power Lifting, and Strength. Kenny has many favorite activities including hiking, kayaking, Frisbee golf, hunting, swimming, biking, reading books, woodworking, and watching movies. Ralph Marston Bill attended and played football for Malone University in Canton, Ohio, where he received his bachelor’s degree in Adult Fitness. He continued his education at Kent State University, where he received his master’s degree in Exercise Physiology and is currently in the final stages of a second master’s degree in Nutrition and Ph.D. in Exercise Physiology. Bill also obtained certifications as a Strength and Conditioning Specialist, USA Weightlifting Sports Performance Coach, Functional Movement Screen practitioner, and Personal Trainer. The drive for his educational pursuits comes from his passion to help all people reach any performance or health goal they have. Bill believes that the focus of all training is movement. Some want to increase the amount of movement they can perform, the strength and speed of particular movements or use movements to increase general health and reduce pain. Working as a personal trainer, strength and conditioning coach, and in physical rehab, settings have given Bill the experience to help all people become better, regardless of where they start from.